Carisbrook Lodge is named after the nearby Carisbrook Creek, which flows into the Clyde River. It is the largest building on the retreat. 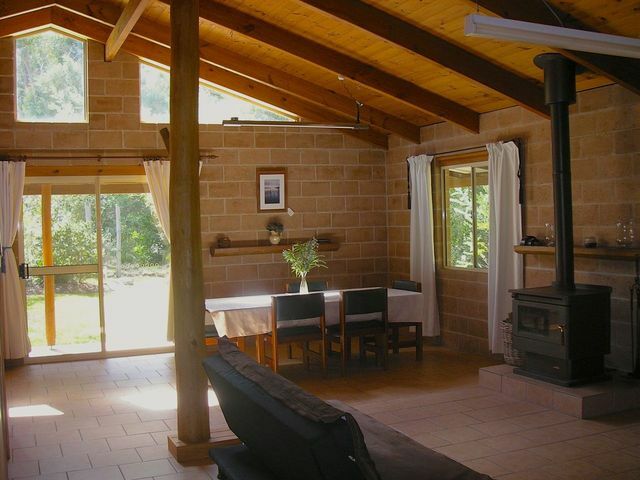 Carisbrook Lodge has three bedrooms, bathroom (with bath and shower), separate toilet, fully equipped kitchen (with wood-burning stove, gas oven and cook-top, and fridge), dining area and a large open plan living area. There is another toilet outside, and a car port attached. There is a laundry with a washing machine. 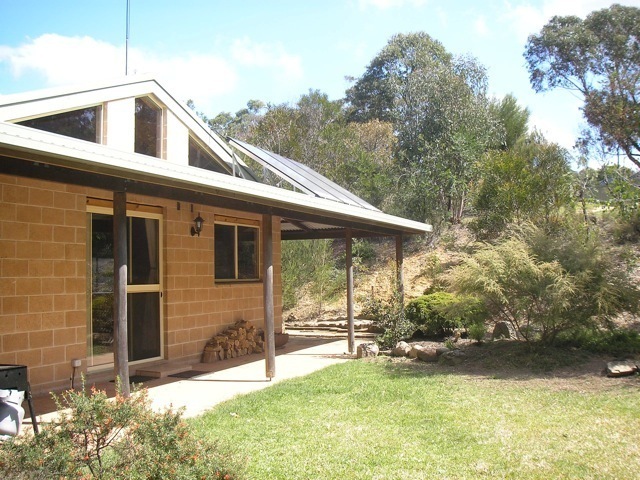 The lodge has both solar and gas-heated hot water, and 240v power provided by solar cells (or by a backup generator if the sun has been hiding for a few days!). The main bedroom has the bathroom en suite (there is a separate entrance to the bathroom for other users) and contains a queen size bed. The second bedroom has one double and one single bed, and the third bedroom has three single beds, allowing spacious accommodation for eight people. The living area has a wood-burning heater. There is a spacious “wrap around” veranda with outdoor seating and a gas BBQ. The rate for Carisbrook Lodge is $120 – $150 per night (depending on the season), which includes two guests. Additional guests are an additional $25 per night. A minimum stay of 2 nights applies to the lodge in peak season. All prices include GST.